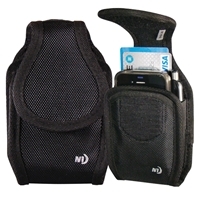 Nite Ize Mobile Accessories keep your valuable mobile device safe, secure, and convenient. 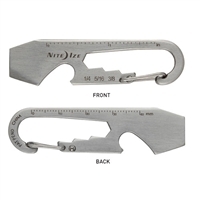 Made with durable construction, top quality materials and rugged clips, they're also designed with classic style that looks as good with your khakis as it does with your work boots. Don't let his cute little shape fool you. 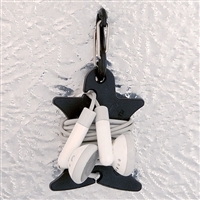 When it comes to tangled headsets and knotted-up ear buds, the Nite Ize Curvyman is all business. 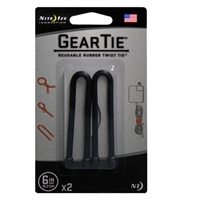 The Nite Ize 3" Gear Tie puts a colorful twist on organizing, tidying, wrapping up those loose ends. Whatever way you bend, wrap, or twist it, the Nite Ize 6" Gear Tie is almost endlessly useful, in a colorful, practical, innovative way. Our Fits All Holsters offer simple, streamlined convenience and rugged protection for almost any sized phone, in the orientation of your choice. 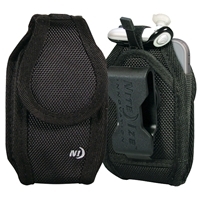 The Nite Ize Clip Case Cargo safeguards your phone in all conditions. Made of extremely durable ballistic polypropylene and equipped with a fully enclosed bottom, it absorbs shocks and shields your items from the elements. Made of extremely durable ballistic polypropylene and equipped with an enclosed bottom, this innovative, tough cell phone case for wider phones absorbs shocks and shields from the elements. Made of durable ballistic nylon to protect from impacts, and accented with weather-resistant, rugged hypalon material, this case is designed to keep your phone safe and at-hand on your belt, in a fixed horizontal position.